Benjamin L. Parsley III joined the firm in 2007. Mr. Parsley, a lifelong Murfreesboro resident and 1999 graduate of Riverdale High School, actively fights for his clients who find themselves in the Tennessee court system. Mr. Parsley graduated from the University of Tennessee in 2003, where he was President of Sigma Phi Epsilon Fraternity. He worked and paid for his legal education as a Court Officer in General Sessions Court for Rutherford County until he graduated from the Nashville School of Law in 2007. 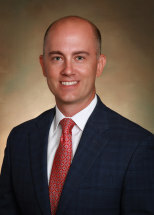 In addition to being a successful trial lawyer, he is active in the local community, including his position on the St. Thomas Rutherford Hospital Foundation Board, City Schools Foundation Board, and coaching youth sports. Mr. Parsley has achieved successful resolutions of his clients' cases in state and federal courts through jury and non-jury trial proceedings. Mr. Parsley works diligently representing his clients in criminal defense, personal injury, and civil rights cases.